We offer acupuncture to treat a variety of conditions, from acute and chronic pain to allergies. We are also Acu-Thin certified for weight loss therapy! Using UV-free, LED light therapy, light rays are emitted from the Fine-Light Mask, which then stimulate cell regeneration, and increases collagen and elastin production in the skin. Lipo Light is a safe supplement to your weight-loss program and when combined with a healthy lifestyle and exercise, can help you see results more quickly. Use cold lasers to eliminate pain and inflammation, as well as stimulate tissue growth and speed up the body’s healing process. Spinal decompression can be very effective at relieving pressure on nerves and intervertebral discs, facilitating the movement of spinal fluid. We strive to provide complete care for our patients. 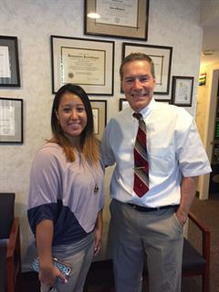 Learn more about chiropractic services we provide. When an accident or illness causes discomfort and problems with mobility, it can affect all aspects of your life. You may have difficulty at work or can no longer enjoy your usual recreational activities. Alternative methods offer relief from pain, without the use of strong medications and without invasive surgery. 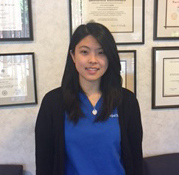 At Westport Chiropractic & Acupuncture in Westport, CT, we’ve helped many patients get back to full function for their daily tasks, in a comfortable, caring environment that understands their unique needs. Chiropractic methods have been shown to be effective for reducing pain and improving function for a number of problems. 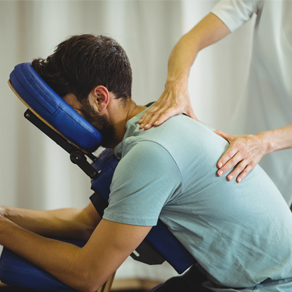 Low back pain, neck pain, migraines, auto accident injuries, sports injuries, work-related problems and medical issues can all be addressed through the use of chiropractic techniques. 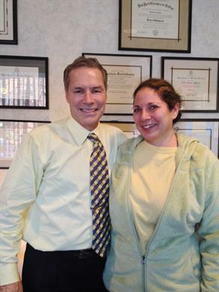 Your Westport chiropractor will design a care plan for your individual needs. Chiropractic care encompasses a number of techniques that help to correct misalignments and improve mobility. Manual adjustment is one of the cornerstones of care, which re-aligns the structures in the spine for more efficient movement. Hand-held instruments can also be used for specific techniques that improve muscle function. Cold laser therapy is another type of treatment that uses laser technology to reduce inflammation and improve healing of soft tissues. Acupuncture is an ancient healing technique from Asia. It has been used for thousands of years to relieve pain and improve function. The technique uses very fine needles that are inserted at specific points on the body. When used at these “meridians," acupuncture can block pain signals to the brain and increases the production of natural pain-relieving chemicals in the body. The result is reduced pain and better movement in affected areas. Auriculotherapy, which focuses on meridians on areas of the ear, can help to manage addictive behaviors. Acupuncture is becoming recognized as a unique and helpful method of treating many different types of conditions. The chiropractors and acupuncturists at Westport Chiropractic & Acupuncture bring their many years of experience in providing relief to patients in Westport, CT and nearby communities. We use a range of specialized techniques and individualized care plans to help our patients get back to their normal activities in comfort. Call Westport Chiropractic & Acupuncture today for (203)-227-4474 for an appointment to learn about the techniques that can help relieve pain and improve your physical function. Dr. Guerin received an academic scholarship to Salesian High School in New Rochelle, NY before attending St. John's University in Queens, NY, where he was awarded his Bachelor of Science degree. He received his Doctorate of Chiropractic at New York Chiropractic College in 1988 and has been in practice in Westport since 1989. 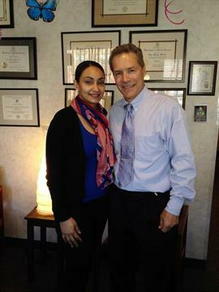 He is a certified acupuncturist affiliated with the International Academy of Medical Acupuncture. 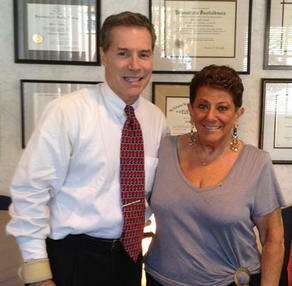 He resides in Weston, CT.
Dr. Gabriel graduated from Albertus Magnus High School and received her Bachelor's degree from Fairfield University in Fairfield, CT. She graduated from New York Chiropractic College with honors and has been in practice in Westport since 1985. 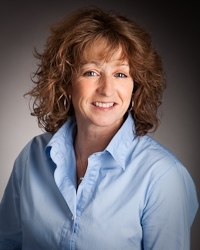 She is a certified acupuncturist affiliated with the International Academy of Medical Acupuncture. 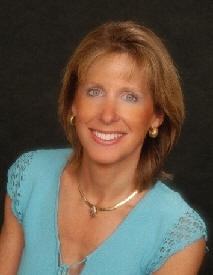 She resides in Weston, CT.
Dr. Randazzo obtained her Bachelors of Science in Biology from Manchester University in the United Kingdom. After moving to the United States, she graduated from New York Chiropractic College as the salutatorian of her class in 1991. 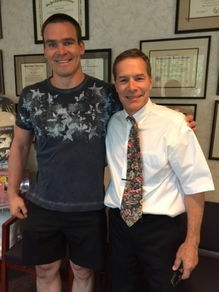 Dr. Randazzo is certified to practice chiropractic in both Connecticut and New York. 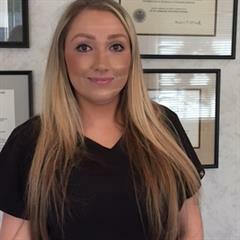 She resides in Norwalk, CT.
Dr. Guerin graduated from Weston High School and received his Bachelor’s degree from the University of Vermont in Burlington, VT. He graduated from Palmer College of Chiropractic Florida Campus in 2017 and specializes in Neuromuscular Rehabilitation. He is a Certified Wellness Consultant and a Diversified practitioner. He currently resides in Stamford, CT.
Alyssa Daniels holds the role Office Manager.